The NYHL would like to congratulate Tayden Leung from the Duffield Devils on being the lucky recipient of the McKenney Goalie contest. We would like to extend a sincere “thank you” to McKenney Sports for running this great contest. We hope Tayden enjoys his new goalie equipment. The Duffield Devils Captured the 2016 Championship! Duffield Minor Peewee 2016 NYHL Champions. In this ProSmart tutorial, players will learn how to make the most of their 2-on-1 and 3-on-2 rushes by understanding what to do with or without the puck. F: Will continue to improve their line rush attack without any pressure. D: Will complete repetitions of puck retrieval, breakout passes, and lateral blue line walks for a point shot. A player’s stick is their greatest weapon for offensive success. If the stick isn’t just right, the player might be thrown off completely. Here are some things to consider about your tape job (TJ). Make sure you include a combination of all of these exercises in your next warm-up. This will help safely limber up the body’s muscles, core temperature, and heart rate before competition, practice, or training. The first players from each line will leave at the same time, round the centre circle, and receive a pass from the second players in line. They will return down to their end of the ice for a shot on net while the second player rounds the centre circle for a pass. Current and former NHL player’s Brayden Schenn, Luke Schenn, & Wade Redden demonstrates how to effectively hit a fellow teammate in motion with a lead pass. Twelve-year-old Jimmy was just about to change out of his base layer, when Nathan’s mom walked into the change room. He immediately became self-conscious and sat there until she left. Checking from behind (CFB) is an unfortunate reality of hockey. Make sure you teach your players at young age how protect themselves when going into the boards. Great for Initiation & Novice – Two players face each other with a puck sandwiched between the blades of their sticks and work together to sweep the puck back and forth simulating a smooth passing motion. In this ProSmart tutorial, Wade Redden and Kim Gellert exemplify some highly useful puck handling combinations that can improve the skill level for all ages. Budgeting is one of the most important financial functions for any team whether you have small or large team expenditures. Parents cards are a great way for families to get to know their child’s teammates and parents. Use this template to create laminated parent cards to distribute amongst the team! Scott Hartnell explains how to stand up on skates and what sparked the creation of his foundation, Hartnell Down. Lookout Evan Marble, Scottie might be gunning for your power skating job! Does Your Team Skate Well? At the beginning of the hockey season, coaches must evaluate the strengths and weaknesses of their team’s skating ability. These four drills will test all the fundamental skating components: crossovers, tight turns, starts and stops, and transitions. Over the course of three ice sessions, we evaluated 11 and 12-year-old players on the following skills: skating, shooting, puck control, compete level, & hockey sense. Long-term athlete development is a 7 stage model that is based on over twenty years of sport science research. Understanding each phase will enhance our child’s enjoyment of sport and maximize their athletic potential. Get together with your coaching crew at the start of the season and plan your team experience. Use this planning sheet to work through the details. Congratulations to North Toronto on their 50th Anniversary! Toronto Mayor John Tory and NYHL Chief Operating Officer Paul Maich joined in the celebration at North Toronto Arena. “It must be a full moon” Annie mumbled as she scanned down a long list of penalties on a game sheet from the night before. The popular certainty that Malcolm Mellow turns into Freddy the Flesheater when the lunar disc reaches its full dimension is an accepted truism in many people’s minds. The nods of unchallenged agreement to Annie’s observation confirm that it’s no different in the NYHL Office. Is it true that the appearance of a full moon in the sky forewarns of a full sheet of penalties once the whistles and stripes meet young bucks with pucks by the light of the silvery moon? Are there really that many more penalties on the nights when the light shines bright, or is it a mothers’ myth that the bad get badder, and the mad get madder spawning a meaner demeanor in the most tolerant of Officials. But many a seasoned policeman would bet his badge to argue the point that street crime increases when the moon is full. It just seems so logical that the lunar lump would be to blame when we can even see it steal the water out of the Bay of Fundy twice a day. Why wouldn’t it draw the weak to the dark side when we know it possesses such power to influence even the forces of nature? The truth is that there isn’t more crime when the moon is in its prime. It just ain’t so. And Refs don’t get chapped lips from blowing the whistle on those nights either. There just isn’t any evidence that the phases of the moon have any influence on anti-social human behaviour. The rats with the stats have once again taken all the fun out of speculation by pricking another much-repeated speculative balloon. I know, the next thing we’ll be asked to throw away our rabbit’s foot and four-leafed clover, cover up our Ouija board and tarot cards and look to Revenue Canada for financial advice. Life is a bummer … at least when the moon is full. McKenney Goalie Contest Winner Gets New Gear The “McKenney Goal Gear Contest” winner was selected on the Sunday, at the conclusion of the NYHL “Challenge of Champions” weekend. The lucky recipient of this great contest was Kaiden Khayat of the Don Mills organization. Kaiden has won a custom designed set of goal pads, blocker and catcher. Congratulations Kaiden! We hope you enjoy your new gear. The NYHL will also like to extend a sincere thanks to McKenney Sports for offering this great contest. Ticket Draws Are Back By Popular Demand The NYHL will once again be having weekly rewards taking place. The winning tickets will be posted on the NYHL website each Monday and will be up for a two week time period. Tickets that are drawn will be from within the previous two weeks from the date they are posted so please ensure to save your tickets for at least two weeks. We have been lucky enough to get some great supporters who have generously donated some great prizes for our league. The prizes range from restaurant gift cards to passes for activities the whole family can enjoy. We ask you to be sure to check out our supporters on the website for more details on what they have to offer. This can be done by simply clicking on a specific logo, and you will be directed to a link for that specific sponsor. The North Toronto Tyke’s were the tier 3 champions and they created this unique picture to celebrate. Join Faustina Hockey in their 2nd Annual Bar Down by the Lake ball hockey tournament in support of SickKids. This year’s tournament will be held on Saturday May 28th. The tournament is an annual event in the club’s “Giving Back Hope” fundraising initiative which has raised over $12,000 for charity in the past 3 years. For more information please visit the website at www.givingbackhope.ca. Once again the NYHL and Scotiabank would like to welcome you to our Scotiabank “Challenge of Champions” weekend. The event will be held at Downsview arena on Saturday April 30 and Sunday May 1, 2016. The format for this weekend will have all age groups up to Bantam participating in games. The champions of each tier will play against the selected all stars from within that respective tier. We encourage all players, parents, grandparents, friends and family to come out for what promises to be a great weekend of fun at Downsview arena. The Warren Park Atom team made it on to Hockey Night in Canada. The JCC Beast are the champions of the West Hill tournament. The Scarborough Raiders Minor Novice Red team practices hard. There is always time for a fist pump! Franco Sichetti and David Didomizio of the Weston Peewee Red team fist pump each other after a great save by Franco. Lights Out Skating Academy would like to take that opportunity to offer a FREE 3 day SKILLS 5 CAMP March 16th, 17th and 18th 12pm-1pm at the King City Arena. Our Skill 5 program caters to the five basic movements in developing great skaters. Stop, Start, Edge, Turn and Cross. All players must be at the House League Level. Please come with full equipment and no sticks. We will be accepting 35 SKATERS ONLY for this program. Lights Out Skating Academy would also like to take that opportunity to offer a FREE 3 day CAMP session March 16th, 17th and 18th to all Rep Players AAA, AA, A or Tier Level players from 1pm-2pm on ice, and 2:30pm-3:30pm dry land at the King City Arena. The dry land training will be focusing on drills that is catered to improve yours childs’ speed and agility and will be held in the event space within the arena. PLAYERS MUST BE ABLE TO DO BOTH ON ICE AND DRY LAND PROGRAMS TO JOIN CAMP!!!! Please come with full equipment and no sticks. We will be accepting 35 SKATERS ONLY for this program. Any child participating in program must be able to do all 3 days of camp. Please do not sign up child if he or she cant not attend all 3 days. Please go to Lightsoutskatingacademy.com and click on program you would like your child to attend and simply fill out registration form. The North Toronto Atom team were crowned champs at the Leaside tournament. NY Knights Peewee team are victorious at the George Bell tournament. Thornhill Tyke Black’s Philip Tsaparis scores. The North York Hockey League would like to extend a unique opportunity to each team or organization in the coming months. We have already completed a couple of these with some of our teams and have received positive feedback overall. The picture to the right is of the Leaside peewee team who recently participated in the program and found it extremely beneficial. If you are interested in having an official come out to either a practice or any other event within your organization, please contact the NYHL office at coo@nyhl.on.ca for more details. The Vaughan Rangers Atom White go undefeated and captured the George Bell Tournament! The Vaughan peewee players enjoy a day on the pond. The East York Novice Gold team hosted the NY Knights in their inaugural outdoor winter classic at Dieppe Park. It was a great night for both teams with a great turn out for parents and fans. East York won the game 2-0 and both teams enjoyed hot chocolate and hot dogs afterwards. NT Midget Seniors Select win Canada Cup Tournament! The North Toronto Midget Senior team was victorious in the Canada Cup Tournament in Montreal. The JCC Beast Minor Bantam team poses for a team shot during one of their tournaments. The Scarborough Ice Raiders Pee Wee Select Red Team, along with their families, recently volunteered to be marshals at the Walk for Memories in support of the Alzheimer’s Society. Vaughan Peewee Red team is victorious in the Richmond Hill tournament! The team went undefeated the entire tournament. The entire team had a great time. Both the coaches and parents are very proud of the boys determination and dedication to their team and the game. The Vaughan Rangers Minor Peewee Blue donated a few hours of their time helping the needy at the Vaughan Food Bank. They had a great time learning what it takes to give back to the community and the feeling after its all done of a job well appreciated by all. Ethan Yam of the NY Knights gets set for action in the Leaside Tournament. The NY Knights were successful in capturing the tournament. Duncan Fenn of the Humber Valley Atom team gets set for a breakaway. The Amesbury Atom team show off their new sticks they won in the Majer Hockey team stick contest. They are hoping these bring them luck as they head into the playoffs. The NYHL would like to thank Majer Hockey for donating this great prize. We encourage those that have yet to do so to be sure to check out their link on the NYHL website. Mimico Novice goalie Owen “Butsy” Butler gets ready to take to the ice. Below is a link to an online petition to the City of Toronto in regards to the continuing increases that occur yearly to Minor Hockey ice contracts. In the past 5 years, our contracts, as well as all other Minor Hockey Leagues in Toronto, have increased over 22% for Community Youth (House League) and over 28% for Competitive Youth (Competitive “A”, “AA”, “AAA”). At this rate it will not be long before many children in our communities will not be able to continue playing this great game of hockey!!!! As we know, politicians respond using their own figures and numbers to explain why our ice costs are constantly increasing. Ultimately it is the parents who are absorbing these increases. If you agree that we and all other organizations have exhausted all of our resources, and would like to avoid a further increase, please sign this petition. Also, please forward it to any others that might agree with the stance we have taken (ie. grandparents, aunts, uncles, business colleagues, neighbours and friends). An overwhelming showing on this petition will get the attention of the Councillors we elected and possibly generate a freeze in increasing ice contracts for all Minor Hockey Leagues in Toronto. The Scarborough minor novice teams played in a championship game at the Don Montgomery Tournament. The Minor Peewee Vaughan JCC Beast team are champions in the recent Amesbury tournament. They had had a great experience at this state of the art facility. Thank you very much to the staff at H2T! The Scarborough Ice Raiders Pee Wee Select Red Team were thrilled to be the winners of new custom pant shells from McKenney Custom Sports. Following a winless start to the season, the team received their pant shells the night of the Don Montgomery Memorial Tournament. The team went on to tie one game and win two games in the tournament, moving them into the finals. After an exciting final that ended up in a tie, the team went on to tie in overtime, and eventually was beaten out in an eight shooter shoot out. The boys are crediting their new found success to their new “lucky pants”! Thanks again McKenney Custom Sports for your generous prize, the boys don’t ever want to these off! Every once in a while something crosses my desk that sounds like real fun for an NYHL family looking for an adventure. Jes Clarke, Casting Coordinator for 3-Bird Media sent me a note about a new television show they are putting together that fits the bill very well. She asked me to put out the information to NYHL families who may be interested. Rather than paraphrasing what Jes had to say I’m just going to copy and paste her message and her contact information below. Anyone who is interested can go directly to her. I work for 3Bird Media in Toronto developing a new show for one of Canada’s largest Broadcasters called Back in Time for Dinner Canada. It is a fantastic show about one family’s extraordinary time-travelling adventure to discover how a post-war revolution in the food we eat has transformed the way we live. They experience the lifestyle and meals of each decade from the 1940s to the present day in Canada. BBC Two originally produced the show in the UK, here’s a link: http://www.bbc.co.uk/programmes/b05nc5tv/clips. It is a well thought out, educational show about the UK’s history, and we are hoping to bring it to Canada and show Canada’s history. We are looking for one family with 2 parents and 2-3 children between the ages of 12 and 19 who are interested in food and are opinionated. Not only is it a great educational/historical experience for the family, but it also comes with a renovated kitchen as the grand finale which I know would be a huge plus for a lot of families. Steven Linigari and Philip Venditti of the Vaughan Peewee Red team, spent the day doing charity work for the Harvest Food Bank. The coaches and players believe in giving back to the community they live and play in. Humber Valley Tyke goalie Gabriel Carbone makes a great save late in the game for this win. Adam Valentini of the Scarborough Ice Raiders was awarded the MVP in Burlington after his team captured the tournament! Duffield Devils Minor Peewee’s were victorious at the Don Mills Tournament! Majer Hockey Stick Contest Winner Selected The winning entry in the Majer Hockey Team Stick Contest is the Amesbury Atom team. This team was randomly selected from a large number of entries. These players will each receive a brand new Easton hockey stick. The Willowdale Minor Peewee team learned that commitment to the community is very important. “Simple Acts of Kindness” are crucial at any point during the year but Christmas time is very important. They donated food to a homeless shelter the first night and personally delivered a “hot” meal the 2nd night! Great learning experience and valuable life lessons learned for the players. Brady Weiner celebrates after scoring for the Willowdale Tyke. Merry Christmas from Weston Dodgers Bantam Red! The Faustina Minor Novice Select Hockey Team would like to thank all those who supported the Team through food and monetary donations. The team collectively collected $1,247 in cash donations and 1,350 lbs of food on December 12, 2015 in support of the Daily Bread Food Bank. Gianni Tantalo eagerly awaits to get on the ice! 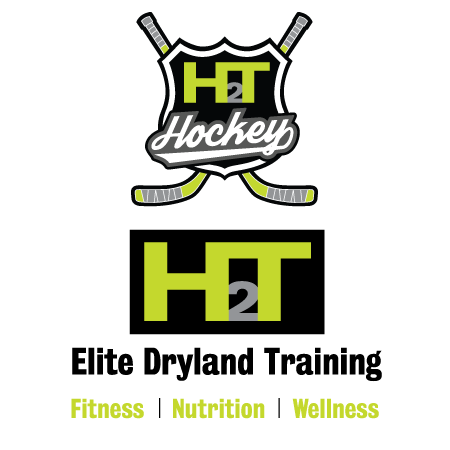 The winning entry in the H2T Dryland Fitness Contest is the Humber Valley Novice Black team. This team was randomly selected from a large number of entries. These players will get to experience a great opportunity at the state of the art H2T facility. The NYHL would like to thank H2T for donating this great prize. We encourage those that have yet to do so to be sure to check out their link on the NYHL webiste. McKenney Sports Team Shell Contest Winner Selected The “McKenney Sports Team Shell Contest” winner has been selected. The lucky recipient of this great contest was the Scarborough Ice Raiders Peewee Red team. Congratulations! We hope the team enjoys their new shells. The “McKenney Goal Gear Contest” winner was selected on the Sunday, at the conclusion of the NYHL “Challenge of Champions” weekend. The lucky recipient of this great contest was Bennett Rogers of the George Bell organization. Bennett has won a custom designed set of goal pads, blocker and catcher. Congratulations Bennett! We hope you enjoy your new gear. The Vaughan Rangers Minor Bantam Blue team chipped in with $1,000 for “Brain Child”, a volunteer organization that funds brain tumor research as well as support programs and education at SickKids hospital. The players decided to donate money after surpassing their own fundraising goals for the hockey season. The donation was in honor of Giovanni Panzeca who passed away in 2011 from a rare type of brain tumor. The goal of hitting $25,000 would lead to a plaque being installed at the hospital in honor of Giovanni. To date the family is very close to achieving this mark. The North York Rangers are hosting the team’s annual Pink In The Rink game on December 13th, 3pm, benefiting the Canadian Breast Cancer Foundation. We would like to formally invite you and your team to the game. Tickets are $12 for adults and free for everyone else. The George Bell Atom Navy helped out with Toronto Star Santa Claus Fund by sorting gifts for 45,000 kids. Members of the Scarborough Ice Raiders display some of the winter clothing collected by the team at Canlan Ice Sports recently as part of the team’s clothes drive for New Circles in Scarborough. A shot of the first face-off of the fall 2015 season, with Gabriel Couture as centre, Heath Couture on left wing, and Danny Kan-Hai on right wing for Victoria Village in their game against George Bell Navy, Tier One Minor Peewee.